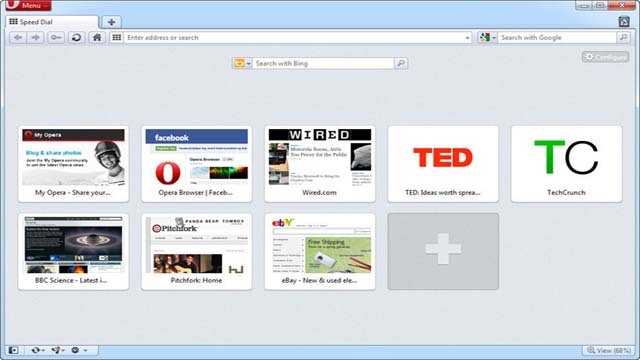 Opera Web Browser download for windows. Download opera internet browser latest version from official links. Opera has all the great qualities you need.New Opera browser brings you more speed, better performance and more safety on the web. Besides good performance, Opera offers a functionality dedicated to slow Internet connections. Speed Dial and Bookmarks pages are available when you launch the browser and offer you easy access to the sites you visits the most and those you’ve added to your favorites. Videos start faster,and if you’re on a slow internet connection, Opera Turbo can compress pages for faster browsing. With more than 1,000 extensions, it is very easy to customize Opera. Customisable keyboard shortcuts and mouse gestures. Opera includes a download manager, and a private browsing mode so you can navigate without leaving a trace. Opera’s fraud and malware protection alerts you if a website tries to defraud you, steal your password or install a virus.